Who: Elizabeth Barbone, an alumnus of the Culinary Institute of America, the author of Easy Gluten-Free Baking, and the founder of both Gluten Free Baking (main site) and Gluten Free Baking 101 (blog), will be our guest speaker and chef. What a treat it will be to have Elizabeth joining us—she’s traveling all the way from upstate New York! Born with severe multiple food allergies, Elizabeth is committed to creating gluten-free recipes that taste just like their wheat counterparts. All of Elizabeth’s recipes are tested countless times to ensure reader’s success in the kitchen. 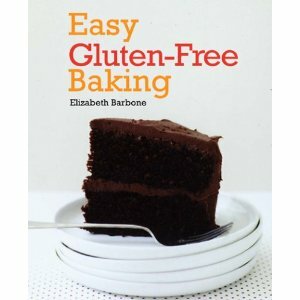 Using easy-to-find ingredients, Elizabeth makes gluten-free baking accessible for everyone. In addition to creating recipes for her main site, Gluten-Free Baking, Elizabeth travels the country speaking to celiac groups and teaching gluten-free baking classes. She will be joining us and giving a breadmaking demonstration. Successful gluten-free breadmaking often stumps folks; Elizabeth will show us how to make bread that doesn’t have to be toasted, has the right texture, and above all, tastes good! Check out this video of Elizabeth talking about her easy gluten-free baking approach, her breadmaking, and more! Note that in addition to samples of Elizabeth’s bread, gluten-free treats will be served and information packets on celiac, non-celiac gluten issues, and the gluten free easily (gfe) approach will be distributed.